This Cafe Claims To Serve The Tastiest Pizza In Town. But Does It Really? Aura Cafe is hidden in one of the quietest alleys in Jubilee Hills. Known for its coffee and dessert, this cafe also claims to serve the tastiest pizza in town. We tried it (and more), and here's what we think. The fact that both the indoors and outdoors of Aura Cafe are done up with plants and greens makes it quite awesome. The outdoor seating is pretty during late evenings and nights because the tables are set up with candles and it also has projectors for live screenings. If you opt for the indoor seating, be prepared to groove to pop music. The service is quick, and your food is served with no delay. The menu is largely continental and has some interesting dishes like Butternut Squash Cappuccino, Charcoaled Prawns, Turkey & Cranberry Panini, and a really good English Breakfast. 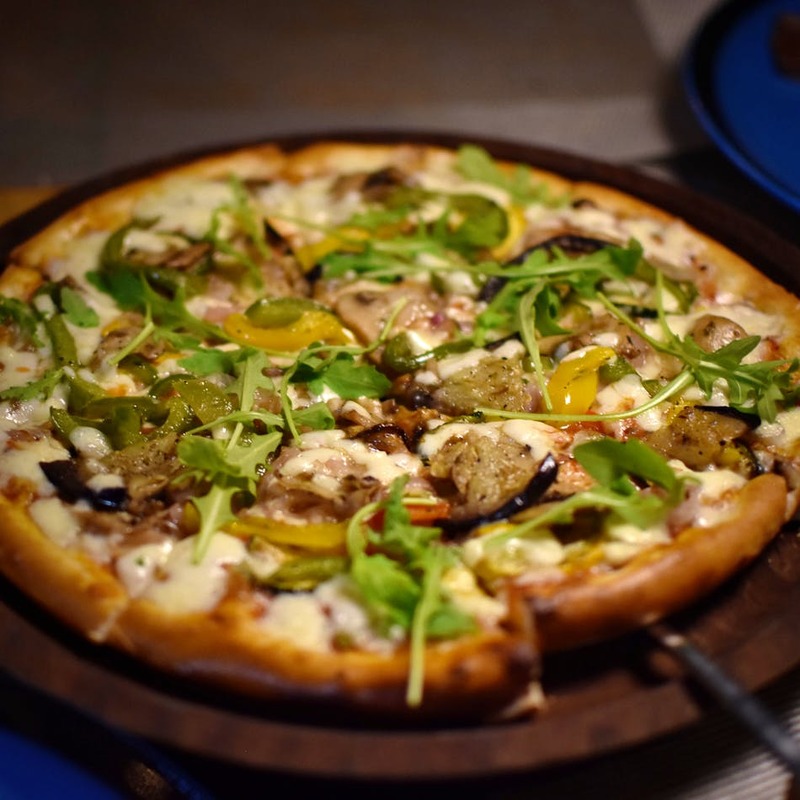 We tried Contadina Pizza which comes with mushroom, rucola, grilled vegetables, tomatoes, and mozzarella. A far cry from a usual pizza, this tiny pizza is thin crust and has a smokey flavour which lingered even after we demolished the pizza. Although there was no Aglio Olio pasta on the menu, the chef gladly whipped it when we asked. As we were gorging on these, our Virgin Mojito and Turmeric Blend arrived. The mojito was too sweet and the Turmeric Blend was loaded with turmeric. A big no! Moving on to the main part — did we think the pizza was the tastiest in town? We surely think it rubs shoulders with the tastiest ones in the city, but when it comes to value for money, it's definitely not in the lead. For the amount you shell out, the food portions are abysmally tiny. Plus, we didn't like the drinks. Aura Cafe is throwing a Pizza Taste Test and if you think their pizzas are not the tastiest in town, they're going to give you back all your monies. Worth giving it a shot, eh?